Roppō Kuji No Biken? Again? Sensei did a lot of Nagamaki (長巻) at the beginning of the year. Last month in Argentina Christian, who just arrived from Japan, told me that Sensei seems to be teaching Roppō Kuji no Biken (六法九字之秘剣). It is like going back to the theme of 2004! I didn’t understand until I arrived here. Sensei is teaching a lot of sword techniques every class. On Sunday, we trained sword on the first part of the class. Sensei said that we simply have to use the sword naturally without trying to cut or block. He used me as uke and what I sensed was strange. It was as if he was not there at all. Sensei deflected an attack effortlessly and said that we must use the sword naturally without trying anything like cutting or blocking. He called that Musō Ken (無想剣), the “sword without intention”. In this technique, the footwork is positioning the blade to intercept the attack, and there is no intention emitting from us. Only by adjusting distance and timing, we can control the attack of the opponent. As explained in a previous post this is the “Engeki Ken” (縁隙剣) of the Gyokko Ryū. Sensei then showed an unusual stance originating from the Kukishin Ryū based on Seigan no Kamae. The sword is not pointing towards the eyes but is slightly lower as if we are aiming at the knees of the attacker (I guess we should call it “Hiza no Kamae”). In my thirty years of practice, I saw that for the first time. With this new Kamae, Sensei does not put muscular force in his grip and can absorb the strength of the attacking blade. He is walking around uke’s blade deflecting it to let the opponent passing him. It was very soft and looked natural. This quiet power was devastating as the attacker would prepare his grip to receive the counter strike but only encounters nothingness. By not blocking and deflecting uke’s blade, uke meets some Kūkan and loses his balance. This no-power blocking is more powerful than a regular ukemi. Instead of having two “yang” it was a real yin-yang. Uke and Tori were one. And experimenting it, I understood why Christian said that Sensei was teaching again Roppō Kuji no Biken (六法九字之秘剣). And I think I can explain why Sensei is teaching this the year of the new Honbu opens. It is because of numerology. Let me explain. We know the Japanese are very fond of numerology. The first Honbu dōjō opened on the 10th day of the 10th month of the 10th year of Heisei (1997) at 10:10pm. The number “10” symbolizes the end of a cycle and a new beginning. 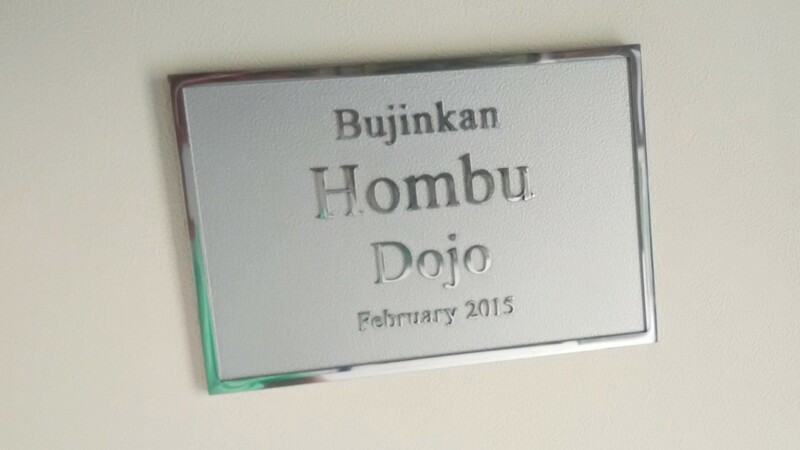 In 2015, Sensei inaugurated the new Honbu on the 22nd day of the 2nd month of the 27th year of Heisei. When you add the number of the days to the number of the month you get 2+2+2 = 6; and when you do the same with the numbers of the Heisei year, you get 2+7= 9. This “6-9” is the symbol of Roppō Kuji no Biken. It also symbolizes the inyō (yin-yang), and this is what he did exactly on Sunday, being one with the attacker through the use of Kūkan. What we see is not always reality, it is often an illusion. Next Post What Type Of Shihan Are You?